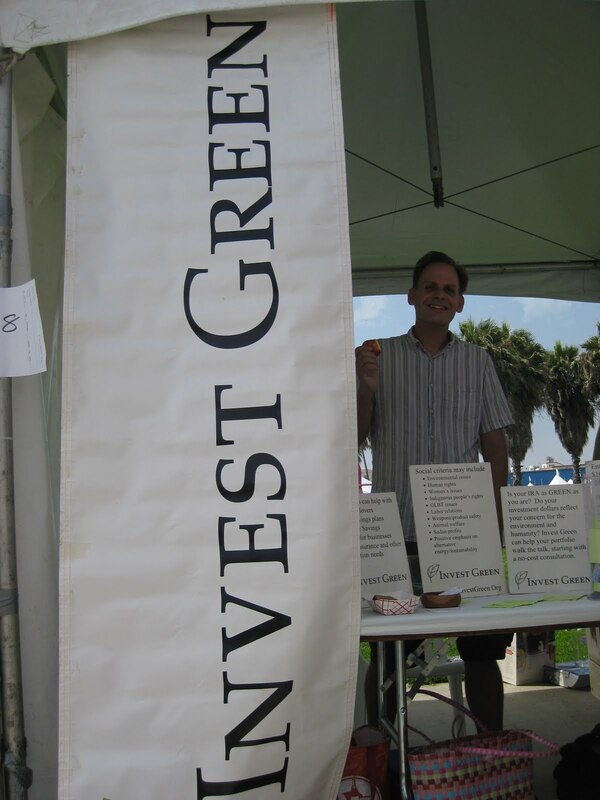 Venice Beach is known for the green that gets you high. And of course there was plenty of that type of green in the air. But last Saturday there was another type of green in the air (along with some surprise rain). 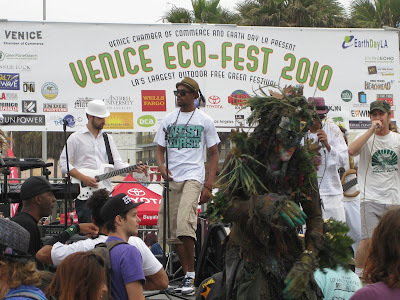 The third annual Venice Eco Fest -- presented by the Venice Chamber of Commerce and Earth Day LA -- was fun for the whole family with clean energy vendors, healthy sustainable food and a solar-powered stage with great musicians. "I think it's great because it generates community, people come together," said Sun Air Skylights sales associate Marissa. "They are all here for one cause -- supporting products that are good for the earth." 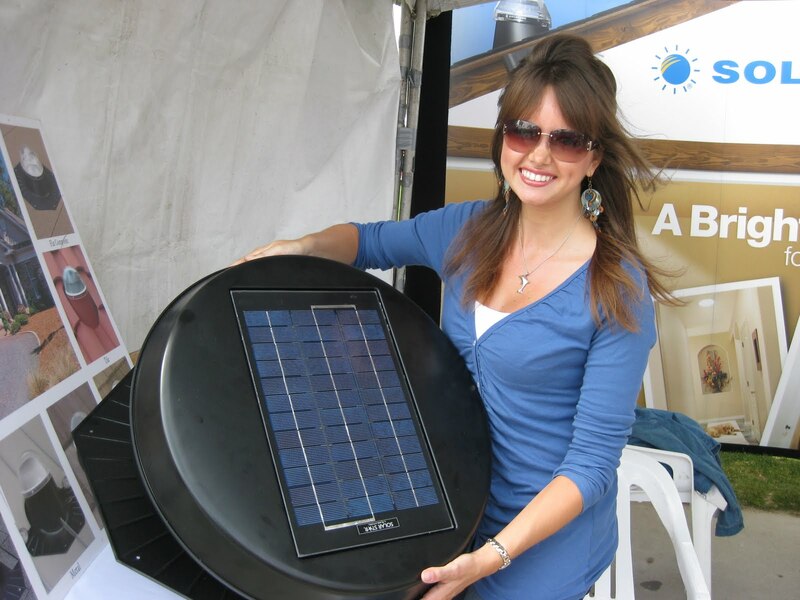 Marissa was in Venice promoting environmentally friendly products like Solatube, above, which provides natural sunlight into rooms during the day -- saving on energy and reducing dependence on the power grid. 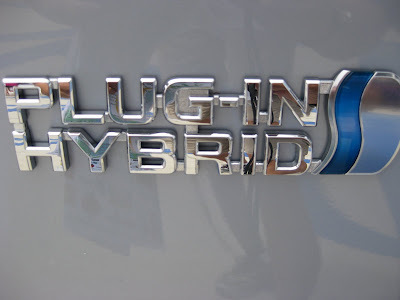 Toyota was out in full force promoting their Prius plug-in hybrid concept car that should be on the market in 2013. The 2010 Prius was also on display. 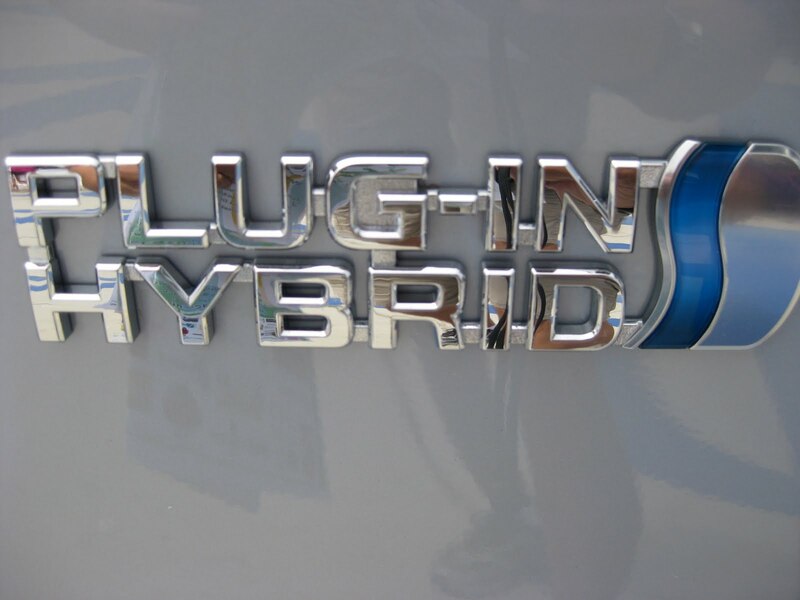 The hybrid gets 51 mpg city and 48 mpg highway. 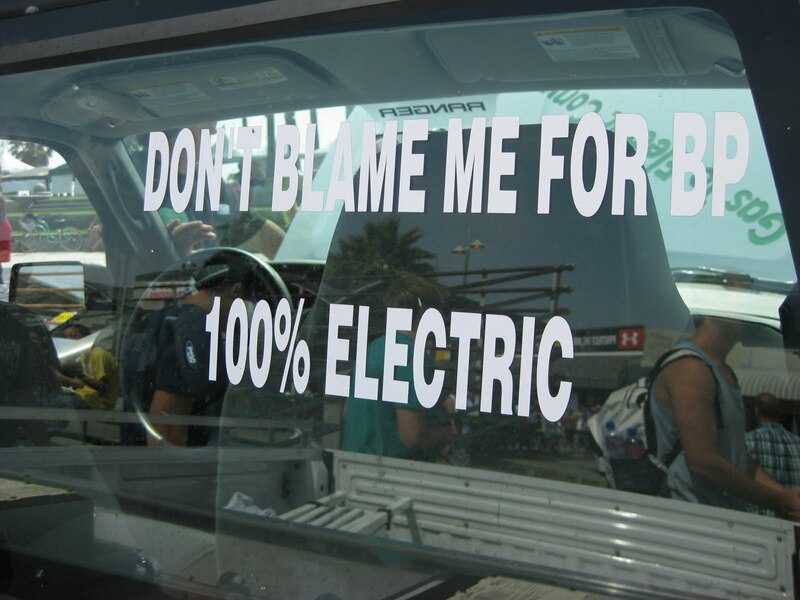 Winner for best sign goes to Gas 2 Electric Inc. They had a gas-to-electric converted truck on display with the below message. Brilliant. The solar-powered music stage was rocking all day and was the scene of a couple of celebrity sightings. Former Laker players Rick Fox and John Salley were seen around the stage area. 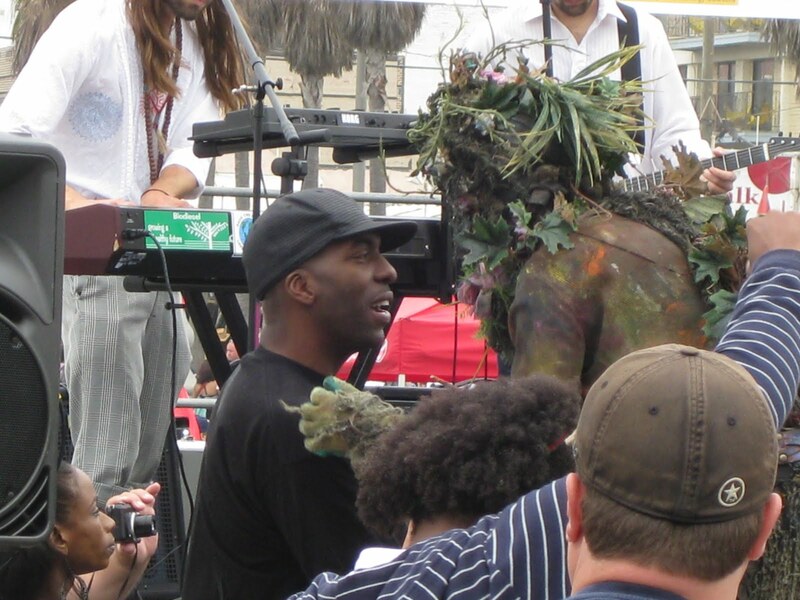 Salley chatted up Tree Man as the picture below shows. Tree Man is an iconic figure on the Venice boardwalk. His dance moves were amazing. 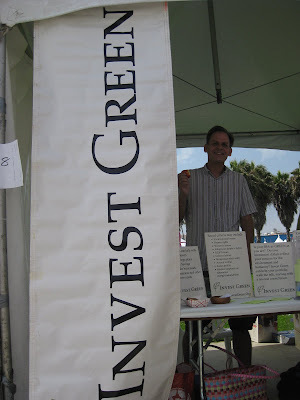 Invest Green founder Paul Mosier was at the event promoting environmentally-friendly investing. "The reason I'm in the Venice Eco Fest is because the kinds of people that come to this are the kinds of people that have concern for the environment and are excited about things like solar power or the high speed train," said Mosier. "Anywhere I can find people that have a concern for the environment, human rights or the other social criteria are the kinds of people I want to be around so I can preach to the choir." Here is video of the music at the festival. Enjoy!